Please list the following for your car.. So tight I cannot run a mud flap on the passenger fender. Rear fits with room to spare. 245/60-15 with 15x7 Magnums 4.25 back space on the front 295/50-15's on the rear w/15x8 magnums 4.5 backspace. thinking about swapping to 15x10 's for the rear same size tire . 1.5 " lowered in front with 2001 Crown Vic interceptor springs Ford #D9AZ-5310-W . Rides & handles great! 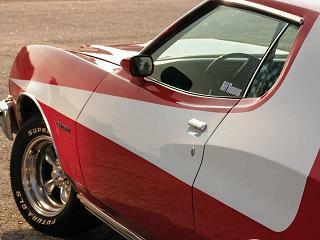 72 sport - ran 275/60r15 on a 15x8 magnum 500 rear and 215/70r15 on a 15x7 magnum 500 front. dont know the backspace. 72 Ranchero - 255/60r15 rear and 245/60r15 front on factory ford 15x7 magnum 500's. 72 gran torino 4dr - 235/70r15 rear on 15x8 street star and 215/65r15 front on 15x7 street star wheels. 265/50/15 on 15x8 TT2 in front (3.5" backspace I think) one front fender real tight in the back. 275/60/15 on 15x8 TT2 in the rear (same backspace) tight to rear fender lips, needed some clearancing with the BFG DR's but the MT DR's clear fine. Rear axle housing slightly narrowed 1" each end. Chris, 14.5 on a 10 wheel? And doesn't it also rub on the front part of the frame rail near where the lower arm mounts? Rear Rim - 15x8 - (4.50" Backspacing)-fills the rear wheel nicely. No rubbing. Center Bore Diameter 2.125 inch with press on caps. This vendor is running a sale on Magnum 500's from 18x10 to 20x10 in Deep Dish styles. The 1994-2004 Mustang fitment will work on our cars. Enjoy! 1995 Bronco - 5.0 5spd. *Note- these tires are both too short of a side wall for my liking. What are the largest tires that will fit our cars out back, when plus-sizing? I am looking for a 17" tire, but I want something in the range of a 275 series, around a 30" tall. I want to say there is a 275/60r17 on General's site in the grabber UHP series. I also saw a 255 tire...but at 27" tall, too short for my taste for back tires. I looked at the typical Mustang type 275/40r17, and forget it, I don't want a donut 25" tall tire. I need some sidewall! Andy, this is a 275 50 17 on a 17x9 rim. What's the overall hight on that tire? My concern with the 50 series, it may be too wide for the 8" rim width. I am looking for original size white wall tires for my wagon. 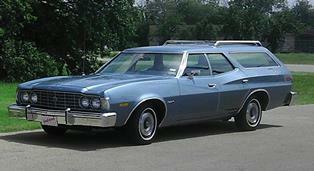 I have a 1975 Gran Torino Wagon. What would yall recommend? P205 75 14's, P215 75 14's, or something else? 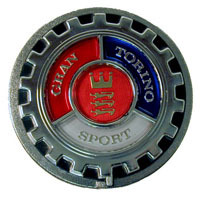 I'm not looking for a bigger wheel combo as I am wanting to keep my original Torino hub caps. On a wagon, I would of thought by 1975 they would have been a 15" rim. On that car, i would think the tire size should be around a 225/75 or a 235/75 series size tire. 205 and 215 seem entirely too small for the weight of a Wagon, let alone a 4 door or coupe. You can still run a bit of a tire on a 14" rim, but the sizes are getting increasingly a pain to find. I forget, but I would image a 225/60 will fit a 7" wide rim? Or, at the wheels you have a 14x6? According to Coker Tires website it states the 1975 Wagon had size HR78-14 tires. Isn't this a bias ply tire??? Can someone tell me what this translates to when it comes to radial tires??? This was something I found poking around the net with Google...I think this would apply well with our Heavy Torinos. From what I gather, you should stick at least a 225/75/R14 tire on your car. 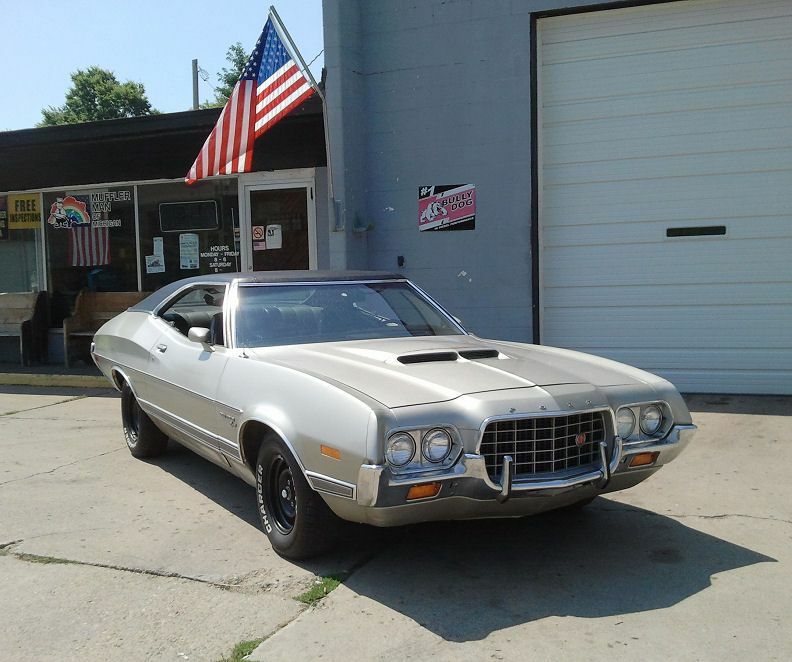 If I was you, I would upgrade to Ford 15"x7" steel wheels, and go to a 235/75/r15 for a larger stock Torino sized tire that a lot of cars had. Every Elite I have owned were factory 15" wheel cars. 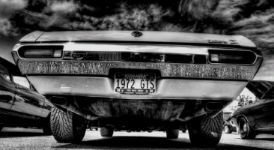 The Gran Torino Sports I have owned have all had 14x8 wheels, I have some 14x8 factory steel rims That I have held onto a few as spares with original bias Goodyear or Firestone tires because I like the look of the old tires. Remember, you have a wagon. That car has some serious heft to it. If you want to stick a whitewall on there, stick with a good brand...you are going to spend twice for white walls versus a blackwall or raised white letter, judging by the Coker Classic line of wide white walls, but BFG would be another good choice. I figure you will have $900 for 4 tires, $1,125 for 4 plus the spare, and that's not including the shipping. I would tell you to check out a local you-pull it for a 80's crown vic, those wheels should still accept the Torino center cap if the rim's center has the bumps for retaining the cap. If you wanted to get fancy, I have a set of the Elite specific slotted stainless steel hubcaps, but you would need a 15" rim. The second number is the aspect ratio. This is a ratio of sidewall height (also referred to as "section height" in the diagram) to width. In the example above, the tire is 7.28" wide, multiply that by the aspect ratio to find the height of one sidewall. In this case, 185x0.60=111mm or 7.28"x0.60=4.36". To figure the outside diameter of a tire, take the sidewall height and multiply by 2, (remember that the diameter is made up of 2 sidewalls, the one above the wheel, and the one below the wheel) and add the diameter of the wheel to get your answer. Here is how you figure out the dimensions on a tire and what will work for your car. The first number is the width in Millimeters "255" is 255 mm, or about 10". I don't know what year your car is, but chances are these tires will be at least 1" and maybe almost 2" wider. 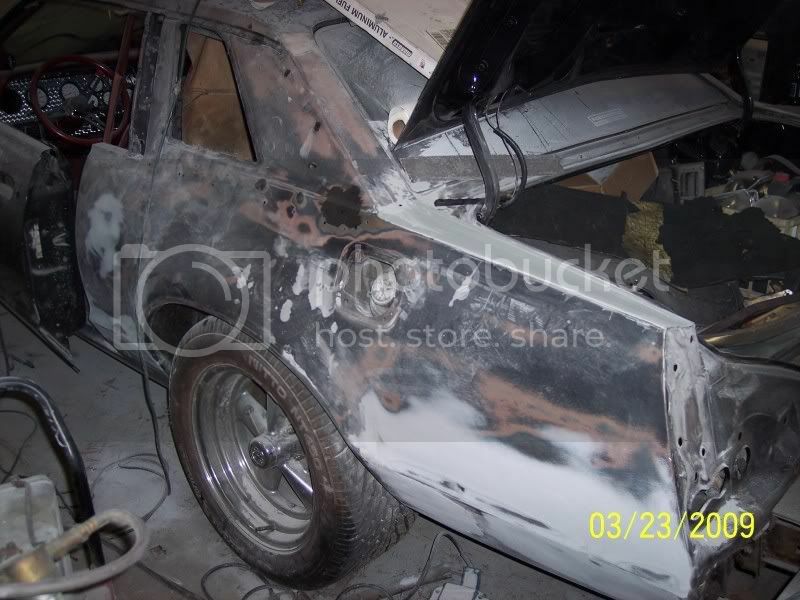 You'll have to look to see if you have clearance, between the fender skirt and the rear wheel, and between the frame and the inside of the front tire in a sharp turn. Remember when you hit a bump in a turn, the tire will move a little closer to the frame. The second number is the percentage relation between the height from the rim to the road as compared to the width. "70" means the tire is 70% as high as it is wide, or 7 inches from rim to tread (with no load on the tire). This will be a short, fat looking tire for your car, when the original was a tall thin dude. Some like this new look, some don't. You pick it. The measurement of the sidewall height on tires is always done as a function (or percentage) of the section width, and it's called the "aspect ratio." In the 1950s and early 1960s, the standard aspect ratio was 82-84%, meaning the distance from the top edge of the rim to the top of the tire tread was that percentage of the width of the tire (which is measured about mid-carcass, not at the tread). Tire sizes were usually given as simply the section width and rim size, like 9.15-15 (9.15 inches wide, 15-inch rim). Around 1970, bias-ply tires moved to a 78% aspect ratio, this the term "H78-15. H was a load rating, 78 was the aspect ratio, 15 the rim size. All tires using the same load rating (for example, G70-15, G60-15, etc.) were the same diameter. Because the diameter was the same and the aspect ratio was lower, a 60-series tire was wider than a 78-series. As radials became the norm, these designations stayed in use, but an R (for radial, of course) was added: HR78-15. In the 1970s, US tire manufacturers adopted the European system of metric sizing (though the rim diameter is still in inches). Example: 235/75R15. R still stands for Radial, 235mm is the section width, 75 the aspect ratio, 15 the rim diameter. What's different in this system is that the section width is an absolute number, so a 235/75 is just as wide as a 235/60. The 60-series tire is therefore smaller in diameter. During this time period, the "standard" aspect ratio dropped to 75% (today, 65%, 60% and even down to 35% on some exotic sports cars, are all common). So, if you wanted to put a set of radial tires on an old car and approximate the original sidewall height, you'd have to go with an enormously wide tire, which is undesirable for many reasons, including more difficult steering and some odd handling response (for these cars, which were not designed to have such a big contact patch between rubber and road). As such, we compromise with a balance of width and height that comes closest overall... an old 9.15-15 might become a slightly wider but shorter HR78-15, which then becomes an even shorter 235/75R15. Finding correct-size 14-inch tires today is harder still, because few tire manufacturers make little 14's strong enough and wide enough to manage the load of a 5,000-lb car. Choose carefully, note the load rating (remember, some 65% of your car's weight is on the front wheels) and the temperature grade (B is OK, A is better, C is not good enough), and maintain proper tire pressure (about 4 lbs below max is what I use). We've all seen what happens when under-inflated tires overheat in a heavy vehicle like, oh, I dunno... a Ford Explorer? This may be helpful to anyone who may have the same dilemma. 295/50-15 is a good fit and easy to find as well! 28x13.50x15 How's that sound?? Try going to http://www.mickeythompsontires.com/strip.php?item=ETStreetRadial that should give you plenty to think about. THanks, my concern was especially with the rears and the huge offset. I was not convinced, but it was a pretty damn good deal. I will pass on that deal, thanks for the advice. Most of my looking has baan in the 15" & 16" range. Congrats on your wheel deal! Hey, I may live in NH, but even I don't walk around carrying a shotgun in the front yard! So, 15x10 with a 4.5" or 5" offset will fit under our wells without modification? Good to know. Looks like I will be sticking with 15x9 or 15x10 for the rears when I finally get there. The car will be dropped a little and I now believe it will fill out the wells nicely when it's complete. Both the 17x9 and 17x8 are 0 offset. The 17x8 is 4.5” and the 17x9 is 5.0”. Thank you for the info on that, I just did not want to assume before I order a set of wheels from Summit Racing. One more question, on the 17" wheels, are any made with a neutral offset? I am mainly looking for wheels that, for all intense purposes are as an example 17x8, with a true 4" offset, or in the case of the 17x9, a 4.5" offset so the wheel is on the center line of the hub mount surface. measure 10" wide. The measurement is from bead to bead, which is 1/2"
from the outer lip on both sides. but do not find anything posted online. of the bead area from inside to inside edge. post a picture of that! jack it up from the center of the diff, mount the rim and take some pics of just the rim on it. Some shots with yard stick to show the measurements. THAT would greatly help us all. I played with tires and rims today!!! Lost a WHOLE POST WITH PICS!!! !